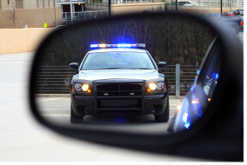 This means that you can be charged with a Washington DUI for being under the influence of alcohol and/or any drug. Our office has fought many DUI cases where the driver was charged for being under the influence of their own doctor’s prescribed medications. These “drug DUIs” are challenging for prosecutors because they require more complicated scientific evidence establishing the link between the particular drug and how that drug affects the person’s driving. Like other drug DUIs, DUI charges for marijuana use are rare, but they have been charged before this initiative passed. Those charges were problematic for prosecutors. Proving that the amount of the active ingredient in marijuana (THC) substantially affected the driver at the time of driving is not easy. First, there is no consensus among experts as to how much THC substantially impairs a person while driving. Second, THC remains in the blood stream for weeks. DUI blood tests do distinguish between “active” THC and “inactive” carboxy THC. Still, there are few experts who can narrow down when and how the active THC affected the driver. Much like the 0.08 BAC standard for alcohol DUIs, Measure 502 establishes a per se limit of the amount of THC in a driver’s system. The new standard criminalizes a THC level above 5 nanograms per milliliter. Critics point out that this amount of THC is far too low and should not substantially impair the average person. Anyone who uses marijuana for medical purposes or otherwise now will have a difficult time knowing whether they are able to drive a vehicle. Prosecutions for marijuana will take the form of driving charges versus possession. Although the new law is a breakthrough for drug policy and personal liberty, it will not end marijuana prosecutions, it will just take another form.